Happy Tuesday, Freebs! I wanted to do a Q&A post today. As I was scrolling through your incredible questions, I have definitely noticed a recurring theme lately. Not sure if it's something in the water, or if it's just the fact that awareness is catching and you amazing women (mostly women, anyway) are taking initiative to make your life BETTER by focusing on your finances. Regardless, questions have been pouring with themes such as: getting on the same page as your spouse financially, getting your spouse to stop spending money, and how to talk about money without killing each other. This is such an important (and necessary!) topic, I'm going to break it into 2 parts. Be sure to come back Thursday for part 2, “How to Get Your Spouse To Stop Spending Money.” It's a doozy, I promise. Eating out is just…relaxing. No cooking, no cleaning, someone keeps asking if you need anything or if they can do anything for you…it's dreamy. Get a babysitter (trade with a friend or family member if you don't have the budget for it – and see what I pay for babysitting if you're curious), get dolled up, and make yourself comfortable at your favorite restaurant (or whoever you have a coupon or gift card to). Go early and leave late. Use the date night as an opportunity to hash out (in the nicest way, of course) and nail down what you need to! 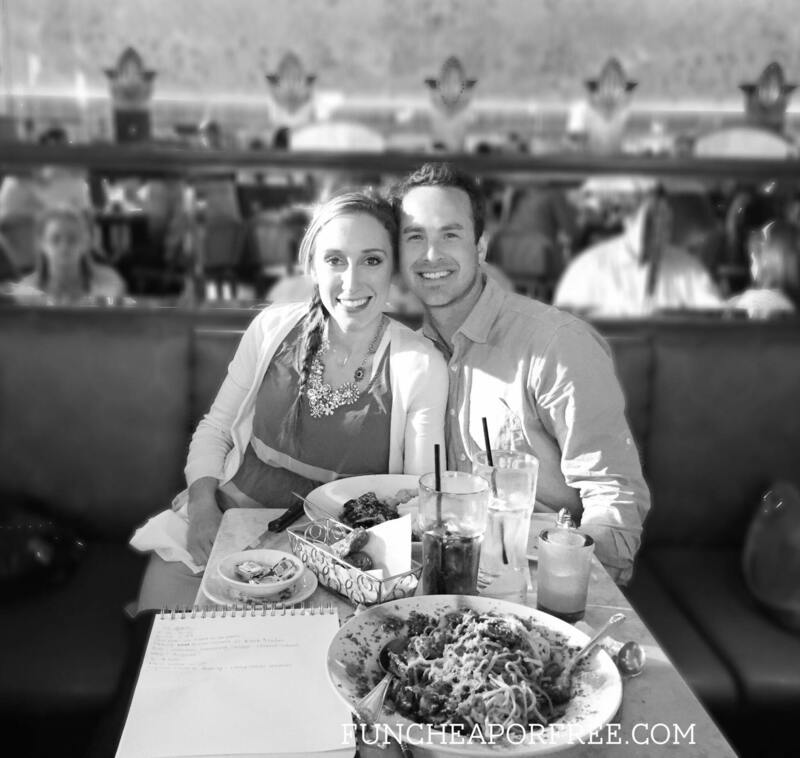 Bubba and I like to go to The Cheesecake Factory (because it takes forever…and is delicious…) every 6 months or so for our “marathon money date”. We review and set goals, forecast and plan for the next 6 months (or plan the entire year), report on how our personal responsibilities are going, and discuss concerns, ideas, and how delicious our food is. Obvs. Get out your calendar RIGHT NOW. No, not actually kidding. Get it out. I'll wait…. Text your spouse RIGHT NOW and ask them on a date for sometime within the next 7 days (unless they are home…then just ask them. Because texting would be weird). Tell them to pick the place so you know they will love it. You don't even have to tell them what the date is for, if you think they would throw a fit. Get a sitter, re-read this post 10 times before going, and have a great time! Be sure to do this regularly. You don't necessarily have to go to a restaurant each time, because that can drain the bank quickly. Maybe 1x per month have a “restaurant hash-out”, then the other weeks sit down before watching a movie or playing a game together and report on the week (which we call weigh-ins, come back on Thursday to learn more). Not sure what it is, but when you are touching, you are less likely to be angry and mean! It breaks down walls and keeps your emotions (and even temper) in check! If you're at a restaurant, sit close enough to hold hands. Sit next to each other rather than across from each other if you need to. If you're at home, cuddle on the couch while talking. Find a way to have physical contact and I promise, it will help. No one likes a finger pointed at them, so turn that finger around and point it at yourself when talking about money. Instead of pointing out the other person's mistakes, trends, methods or whatever, report on your OWN. It will shift the entire conversation. There is probably no way to avoid saying “YOU” 100% of the time, but do your best. Make a game out of it! Every time one of you says the word “YOU”, make them do 10 pushups, buzz the annoying Taboo game buzzer, or chug a soda. However you choose to do it, avoid the word YOU at all costs. Instead of saying, “when YOU spend too much on this or that…” or “YOU never want to…” or “YOU always…”, flip the tables and say, “I feel like we could be doing such and such with our money…”, “I find it hard to…”, “I would love to…”. It changes the entire course of the conversation, and forces you to choose your words carefully. Absolutes tend to dramatizes a sentence and can lead us to exaggerate a situation and is bound to make them feel defensive. If we recorded ourselves having a “conversation” with our spouse, my hunch tells me we would hear ourselves talking 80% of the time, and listening only 20%. Let's flip that – 80% listening, 20% talking is the new goal, and asking question is the best way to get them talking. Easy…ASK! Ask questions! Chant “80, 20! 80, 20! 80, 20!” in your head as you keep your lips zipped. Ask a question, then practice silence. Listen! Sometimes it may take a minute for them to find the words to express what they want to say, so just sit in silence. Don't bail them out, interject, discount their answer, cut them off, or finish their sentence (some of my worst habits). Just sit and wait for them to completely finish what they have to say. 6. Repeat what they say. Spouse #1: Asks a question while holding hands (i.e: “How do you feel about our financial situation right now?”). Silence. Spouse #2: Gives their answer, 1-2 minutes max. Spouse #1: “What I understood is…” repeats what spouse #2 says with as much detail as they can remember. Spouse #2: Agrees/confirms, or corrects any misunderstandings spouse #1 may have about their answer. Spouse #1: repeats “What I understood is…” until Spouse #2 confirms that spouse #1 is understanding correctly. Spouse #2: They then ask a question to spouse #1 and the process repeats. Pull this post up on your phone when it's time to have “the talk” and literally read it like a script! It may seem weird, but I promise it works. These 6 simple tips will have you breaking down barriers and talking about the nitty gritty in no time! And heck, maybe you'll be holding hands and cuddling more while you're at it. Awwwwwww. Keep in mind that the longer you go between having important conversations like this, the harder each one becomes. 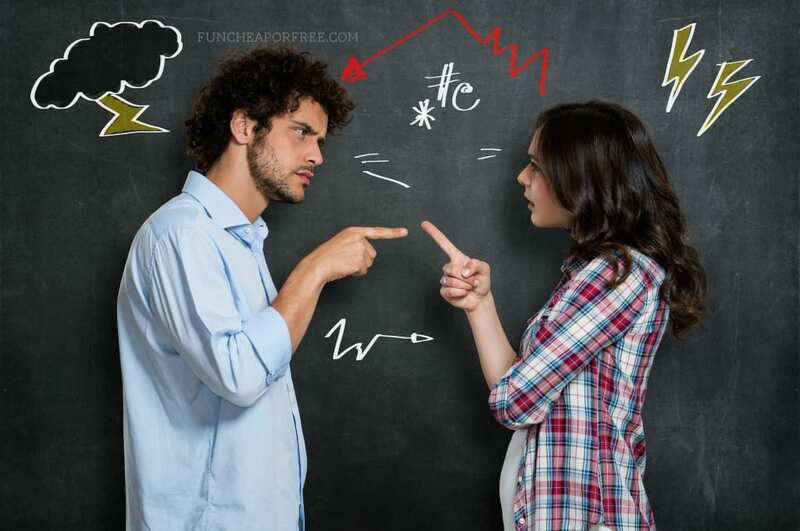 Be sure to stop back by on Thursday for Part 2: How to Get Your Spouse to Stop Spending Money which will give you a timeline for how often to have these types of conversations, as well as giving you the next step in figuring out finances together. Thank you! We had a financial argument tonight and a few hours later I saw this headline in my email. When we’re stressed about something and try to have a conversation it usually ends in an argument of some kind, even if our end goals are the same… That sounds ridiculous but, unfortunately, it’s true. I have to laugh that I am taking advice on communication and finances from a total stranger on the internet but you seem to be onto something. 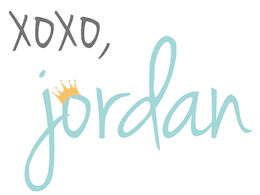 Thank you Jordan!